The Chalcolithic site of Giv‘at ha-Oranim lies on a rocky hill, 130 m above sea level at its highest point, 15 km northeast of Ben Gurion Airport and 3 km east of Shoham, on the route of the Trans-Israel Highway (Route 6). The hill slopes moderately on all sides but the southern, which drops sharply toward Naḥal Beit Arif. The densest occupation remains are concentrated on the southern and eastern parts of the hill. The site forms part of a larger site known as Ḥorvat Bira, named after a small Byzantine/Early Islamic period village excavated by Z. Safrai and S. Dar in 1980–1983. I. Shavit of the Israel Antiquities Authority surveyed the site in 1994 and described the remains of small quarries, two basins, a rock-cut winepress, and agricultural terraces from the Byzantine period. No mention was made of Chalcolithic remains. In October 1995, a second survey was conducted under the direction of E. Oren and N. Scheftelowitz of the Institute of Archaeology, Tel Aviv University. With the exception of a single body sherd, no Chalcolithic remains were encountered. 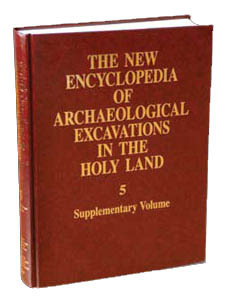 In 1996–1997, two excavation seasons were conducted. An area of c. 2.5 a. within the c. 100 m-wide, north–south strip of the planned road was excavated. Discovered in the 1996–1997 seasons were underground complexes including caves, shafts, pits, and graves from the Chalcolithic period, as well as Byzantine agricultural installations, walls, and an arcosolium tomb.